But it seems to me that the amount of space the instructions for the Tabernacle and the vestments take up implies a great deal more. In particular, 25:8 points to a plan for a more intimate relationship between the Lord and the Israelites. Also, as I noted last year, the instructions for building the Tabernacle neatly parallel the story of Creation, so, in a very small way, the Israelites will be mimicking a seminal divine act. Further, the Tabernacle and vestments facilitate an emotional connection for the people because they are tangible. The Israelites haven’t really absorbed the idea of an invisible deity yet, and this will cause big problems, as we’ll see in two weeks. John Milkovisch, a retired upholsterer for the Southern Pacific Railroad, started his project now known as the Beer Can House in 1968 when he began inlaying thousands of marbles, rocks, and metal pieces into concrete and redwood to form unique landscaping features. When the entire front and back yard were completely covered because he “got sick of mowing the grass”, he turned to the house itself and began adding aluminum siding – aluminum beer can siding, that is. Over the next 18 years the house disappeared under a cover of flattened beer cans for both practical and decorative reasons. Garlands made of cut beer cans hanging from the roof edges not only made the house sing in the wind, but also lowered the family’s energy bills. Ripley’s Believe It or Not estimated that over 50,000 cans adorn this monument to recycling. 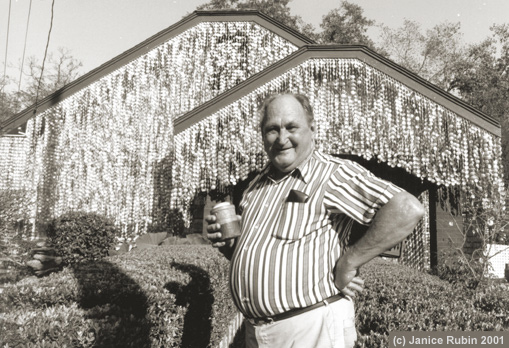 Find out more about John and the Beer Can House. Low Bidder – A contractor who is wondering what he/she left out. OSHA – A protective coating made by half-baking a mixture of fine print, split hairs, red tape and baloney – usually applied at random with a shot gun. 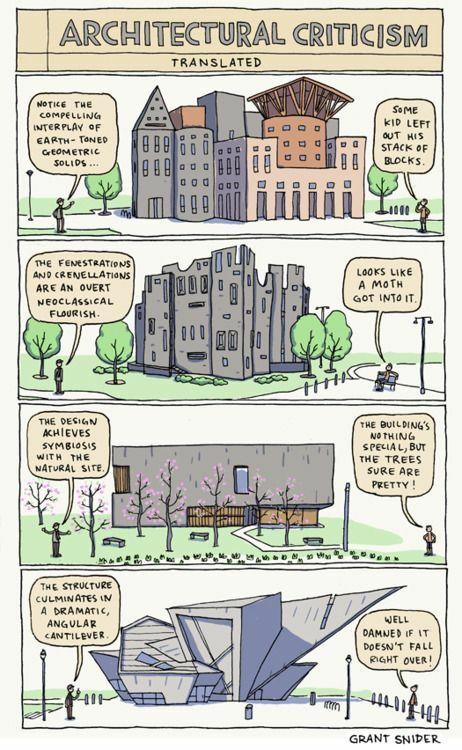 This entry was posted in Uncategorized and tagged building, design, dwell, Exodus, Moses, sanctuary, tabernacle. Bookmark the permalink.